I, too, have been trying to contact Thinking Outside for a new door (I got broken into). The phone is disconnected and no response to emails. I found a link that stated the owner, Michael Greene, lives in Reno, Nevada but I haven't found a sure phone for him. I bought mine at Sams so I am contacting them about the warranty not being upheld. If anyone has a front left hand door, please let me know or if you have any suggestions about how to repair a hole in the door, please let me know. I currently have a smartshed deluxe that we bought 3 years ago at sams club. I cant remember what we paid for it. Can anyone help me with the price back then and maybe a suggestion on what I should sell it for now? Its in great shape except some spilt paint on the floor and a little(not bad) overspray of paint from the house. Any help would be appreciated. I to am looking for some parts. I am looking for some more door hinge covers, and some other screws. any suggestions. I really do not need the whole shed. I wonder what sams club did with there inventories?? I recently bought a smart shed deluxe that I was told was missing one roof panel.. I paid $100 for the shed... with the intentions of buying the one missing piece... little did I know the company had gone under! Now I have a shed I can't use... I would love to sell the whole thing for my $100 back and get it out of my way. I'm sure some money could be made selling it piece by piece since it seems impossible to find them.. but I don't have the time or energy to deal with it. Please contact me at wdickson@islecap.com if you are interested in the building. I have all screws/parts and manual... only missing roof panel (I think it was the right panel). Thanks! Do you know what model it is and have a picture of the pieces? I attached a picture of mine to see if it is a match. How much would you think that it would be to ship to zip code 38672 in southaven, mississippi? I recently purchased a used smart shed also. I am looking for instructions on how to put it together. If anyone has them??? I also am looking for some replacement plastic screws/bolts for it. I see I am not alone in seeking parts for these ThinkingOutside products, if some one is parting one out I am need of some of the plastic screws/nuts, black push pins and wedges. I too have tried the web site and the 888 number with no success, web site not available and number disconnected. Who would have thought this would be so hard! I need 3 of the plastic screws as our door broke off in a crazy wind storm 2 days ago. If any of you could let me know if you have any luck coming up with parts I would appreciate it. I have some extra screws. Where do I send them. I have some screws and hinges; anybody wanna swap them for a skylight piece? i just got one lol..i might have some extra parts. my roof leaks . i could use the part between the roof panels or possibly a roof section..i need some hinges also.i might have extra screws and some floor parts,,dags123@myfairpoint.net.. I'd also be interested in picking up skylight and possibly shelving if you have it. Email at tangled_wood@comcast.net if something is available. If you still have 3 of the plastic screws available that would be great. Send me an email if you dont mind to mkbacon515@qwest.net and let me know how I can reimburse you for the screws and the shipping. What parts and how many? I solved my screw problem, the plastic screws can be replaced with 9/16 x 1.5" metal bolts with a washer. Same thread, same length. Works just like the plastic ones. You will need to find a fastner distributor in the yellow pages, since they are not at the local home depot. Do you still have the shed? I just bought a complete 7x9 (? )- and was hoping to get newer parts- but I see thats not going to happen. Here is suggestion for those who need skylights- find plastics supply distributor- Cadillac Plastics is one in the FT Worth area- then buy 1/8" piece 2 inches wider than roof opening. Clean roof thoroughly with soap water, dry, then clean with acetone- lay new acrylic piece over curvature of roof and heat with a hairdryer until hot it will then fit roof curvature- glue down with silicone sealant. You are in luck, in short I have them already have a PDF file. In long I purchased the playhouse used and did not set up in 6 months time, in that 6 months Thinking outside went out of business (no website). Imagine my dissapointment when I went to assemble and did not have plans, later remembering I downloaded them on my wifes computer. Send me your e-mail and I will forward plans. You would'nt happen to have any spare hardware? I bought my shed at Sam's Club Oct. of 05 for $794. I have heard some have bought them used with need of repairs for $100. You may be better off selling it for the parts, since no one can find the company. I've been looking around for an extra shelf or 2. It isn't worth much when you can't buy replacement parts. I read your submission about having a shed. I will buy your door hinges for $50 if you want to sell them. Please give me a call at 214-636-5540. My name is Pat Doherty. I'll pay the shipping also which should not be much. My husband has a SMARTSHED Deluxe that he's thinking about moving to another spot in our yard, however when I tell him about the obvious need for spare parts, he may be interested in selling it piece by piece. The shed is complete and seems to have all pieces (even the little cotter pins used to lock the doors. Hi! I've been reading through this thread, and we just moved our smart shed. We have been pretty careful about keeping up with the parts, but we apparently misplaced 3 hinges and 2-3 of the hinge covers (for the inside). Would also appreciate 4 of the door locks( that pop from inside to the outside). Would also love a new skylight, as one of ours broke. Am happy to pay for these parts. I'm going to be moving my shed and was looking for the instructions but instead found this. I guess the company is out of business. I'm pretty sure I still have the shelves which were never used as well as an extra shelf that goes in the back under the window and an extra skylight. I guess I'll have to keep looking for the instructions. I would like 2 sky lights, but if I cannot find them, i do have the large and small roof pieces for the gardeners shed. Hi, if you do find the instructions for assembly of the thinking outside shed would you please email them to me at joanzhome@cox.net I would really appreciate it. if you have found instructions would it be possible for you to email them to me too as I also have purchased a used shed that I need help with the assembly. Can you accept/read a PDF? I can scan them in tonight or tomorrow (Friday/Saturday) if that will work for you. yes, thank you so much. that would be extremely helpful. i appreciate it. No problem; happy to help. I would be interested in buying parts. I need 3 door hinges, 1 door screw, and 1 inside hinge cover. I would buy 3 of each if you don't want to break them up. Please let me know if you would be willing to sell them. My email is colvinfamily1@msn.com. Please put the subject as the Smart Shed. Thanks!! I need (6) of the Plastic Easy Bolts & (4) of the Floor Lock Nuts. I also need (1) Hasp and Cotter pin set. Would you be so kind to email me the instruction too pdf would be fine. Happy to help; it's a good shed. It seems so many folks didn't keep their instructions (never thinking they'd need to move the shed)! I'm exactly the same way--I have instructions for everything. I bought this particular one brand new from Sam's Club a few years back and it has served admirably as a cover for my well. I recently had to move it to make way for the new house construction, and that's why I dug up the instructions and had them so handy. We just finished remolding our kitchen and about to start the bathrooms. Our kids are married off so we are stealing some space from their old bath and a unused closet. Now we can get the master bath we always wanted. With whirlpool, multi shower heads, heated tile floors and two sided fireplace. If anyone knows where I might find and/or purchase a skylight for the thinking outside smartshed please contact me! Thank You! My husband threw the instrutions away because they were so easy to get on the internet. I have been searching for these and I think you could be a lifesaver. Could you please send my the instructions? I cannot believe I have found you. I too need the instructions. I love the shed, but we moved and lost the instructions along the way! I'll email them to you tonight...expect a couple of largish emails. My husband and I just received a gift of a used smart shed with no instructions. Would you please be so kind to e-mail us with the instructions as you have done for others. You would be a lifesaver!!!!! Happy to help! They're on the way. The files are PDF and fairly large but you should be able to process them. also is there anyway to get ahold of the supplier for parts I also need the sky light. Instructions are on their way in 2 emails. Any problems, just let me know. Can anyone send me the instructions for the Thinking Outside shed that's giving everyone fits? I live in Orlando and want to sell the shed. I'm sure it will be easier to sell if I have the instructions. It looks like Ferretman has been a blessing to all the others in need. Any help is much appreciated. PDFs on the way, Doug! Would you please email me ? I can't seem to figure out how to email you directly. Happy to do it, and the instructions are on their way! My email is wyrdhaven@comcast.net, if you need it. ....with any assembly tool. Interesting. We have a disassembled shed. It's model # is 44005 LD. If the instructions you had are pertinent and you still have them, would you send them to me? ...but they're on their way! Saw your post. Do you still have the extra skylight? How much are you asking? I'm also will need the instruction. Could you please let me know how much you want for both? Saw your post concerning the instruction manual. Could you please email or sell a copy? Thank you very much. Hello I am looking for the pins that attach the house to the floor. The look like a wedge and are about 5 insches long and are black. I need about 8. If you can help me I would be more than happy to make it worth your while. Hello I am looking for the pins that attach the house to the floor. The look like a wedge and are about 5 insches long and are black. I need about 8. I also need the panel that fits between the back door and the back wall with the screws and nuts to connect them. If you can help I will be happy to make it worth your while. I may have most parts available soon. The snow this winter has collapsed the roof so I will be replacing the whole thing soon possibly. It is the model without the window in the bump out portion. Of course the roof and cross piece are unusable. I need at least one of the skylights and some shelves. Will know tomorrow what other parts I need, as I am picking up used shed in the morning. Please let me know when u decide to part yours out. Thanks! Lost the hinge covers in a wind storm last night!! If anyone has 3 of them, we are interested in purchasing. We have the instruction booklet for this thing if anyone needs a copy. e-mail me @ mgchad54@charter.net. We live in Reno, NV. Any idea were we can get these parts? So glad to have found this site & joined! Any chance of getting the Smartshed instructions email to me also? Got the shed as a gift - with no instructions. Do you still have parts? I also lost parts in a wind storm. How many hinges do you have available? I am interested in buying all you have. I am in need of at least one skylight, two would be better, and the piece that slides through the door that you put a lock through. Anyone have those available? 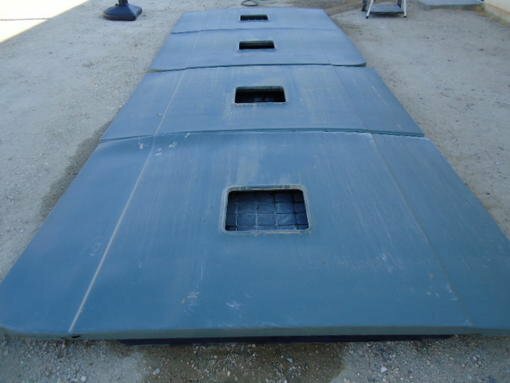 I have 2 skylights, bunch of hinges and doors and other assorted parts available. email me at "rldhart at gmail dot com" if you need parts. not sure what good prices are so make me offers. Shipping will be from Erie PA at your expense unless you are close and want to pick them up. 12 hinges. Not all of them have the back panel. I would like a skylite and will pay for shipping. I tried to email you but it keeps bouncing back. I'm interested in extending my Smartshed. If you know of anyone that has an original extension kit (complete withh all hardware), I would be extremely interesded. I also received a message concerning an invalid e-mail address. I am interested in buing the hinges. Current owner of smart shed who needs parts. Still interested in selling? * Hinge assemblies, Bots, skylight, shelves, etc. Hi there, please contact me at skibunnyhb@aol.com if you would like to sell a skylight and hinges. Thanks so much! I will buy all you have. I lost half a roof and 1 end door in a hurricane. Do you still have parts available? I need three plastic bolts and one door handle for a Thinking Outside Smart Shed. If anyone is willing to sell these, please let me know at bfplumb (at) sbcglobal (dot) net. 1st of all - do you still have it? If so did you sell your skylights? Just curious if you still have the skylights avialable? I need them if you do. Do you still have that extra skylight? I need one. I know it's been a while since you offered pdf of Thinking Outside Shed instructions, but do you still have them? Would you be willing to e-mail them to me at eemerson@unitehere5.org? Hello is there anyway you can please, please send me an email version of Thinking Outside Shed instructions? Are you still offering this shed for sale? I have instructions for this unit. I'm looking for parts to a thinking outside smart shed. I need an outside hinge as well as three inside hinge covers and a few extra screws. I'm also looking for the shelving parts. If you can help me out with any of these let me know. I am in the middle of moving and have started to take down the shed but I can't get the corner and wall supports out of the floor....does anyone know what is holding them down? My ex put this together years ago and he will not help me figure this out...no instructions either...please help! Do you have a skylight part 44020 left? I would pay for the part and shipping to me. I.too need the instructions for the Smartshed. Can anyone help?. i am interested in the manual, i was given the same shed but i did not help them take it apart so i'm trying to put it together. I'm looking for a Bay Back Upper panel 44010. I am looking for the assembly instructions. Do you possibly have them? Hi there. We are in the process of looking for a shed and I'd like to look into these shed. Does anyone know where I can look up these sheds online? Tried e-mailing to this address ( kim-parrots06@gmail.com ) and all I got return to sender. Thanks Eric for the info, I'm looking for the back bay upper popanel with the window. Mine is broken at the folded seams on each side of the window. I need an end window, I was wondering if you were able to find one? Steve, you seem to be the man to talk to about the instruction for the Smart Shed. If its not to much to ask can I get the pdf. I see that you have been asked several times and hope one more is not a problem assuming you still have them (crossing my fingers). Just got the shed from a friend that took it down at a customers, and of course, no instructions. i need a skylight, are you still in need of assembly tool? I'm just looking for the assembly instructions for the shed itself. Has there been any luck finding hinges and screws? What ever happened to this company? I've been trying to keep my shed closed to the elements, but it isn't easy when the wind blows. All three hinges on the door I use the most have broken off, as well as the lock hasp gizmo. Please, somebody email me with some good news! It was too much of an investment for me to trash it after three seasons. Do you still have this shed or any part remaining? I am very interested in a complete extension assembly. Please contact Jim at 952-four four zero-4435 or j.mcclure@mchsi.com. Thanks in advance for the effort. I went to the website you suggested and let them know I, too, would be interested. I don't hold much hope that they'll be any help, however. Their response doesn't give me confidence: "Thank You. We will reply you shortly"
I found a small company in Iowa that will Make the floor locking pieces. However they are made of stainless steel ~$8.50 each (will last forever). My shed is up and good to go. DMC Manufacturing 515-992-4992 or 515-202-7392. They might make other parts as well for the doors. They will need an actual part sent to them to retrofit. I've helped some folks here get copies of the instructions for this puppy in the past--I love my shed and am glad I could help others! Along those lines I moved recently and only just realized that I hadn't updated my email address here. IF folks have been trying to contact me for a copy of the manual your emails have probably bounced, for which I am *quite* sorry. If anybody needs a scanned copy of the instructions you can reach me at wyrdhaven@gmail.com. Has any one been successful in locating a skylight replacement part for a "Thinking Outside Storage Shed" brand, part #44030? I too am looking for a skylight part #44020 for a Think Outside Smartshed brand. It seems like they have gone out of business and this forum is my only hope so far. Any chance two years later you still have those instructions? I love my shed, but just moved and don't have the instructions to put it back together again! I have a complete shed that I took down when I moved. There is one hinge cover missing, and I noted one of the skylights is slightly cracked (no leaking when I took it down). I need to sell this, preferably as a complete shed. I am not able to ship, so you will need to arrange transport from Tampa, Florida to wherever you are. Email me if you may be interested in purchasing this. The shed listed has been sold. Thank you for all who showed an interest. My Thinking-Outside shed (with window over the workbench) is about 11' x 7' and suffers from wind damage to the screws and sun damage etc to the skylights. I am having good luck with cable ties on the hinges and set some green board to cover a missing skylight hole. Otherwise it is in functional shape after 15+ years of abuse by the kids. I also wish there was a way to cool it down in the summer with some air vents. If somebody has a venting idea (better than a a 12 guage shot gun, LOL) let me know. P.S. This thread is long and tough to follow. If you are a supplier or know a supplier of any of the above parts or substitute materials maybe consider posting some contact information every year so newbies can find needed parts. Thank you! I am in need of parts for my Thinking Outside not so SmartShed. At the very minimum, I would need 6 screws. If anyone has these parts or knows where to source them I would greatly appreciate the assistance. I need to get theses doors back on before the Snow begins to fly. Thank you for any help that you can provide. I can be reached by telephone at my office at (315) 287-7878. We recently moved from Miss. to NC and brought the Smart Shed with us. Now we cannot locate the assembly instructions. I have 3 new never used skylights for the SmartShed delux. Anyone have one of these sheds for sale? Would like to add on to my existing Thinking-Outside shed. Does, anyone remember how much this shed cost back from sams club a few years ago? I need one skylight for a thinking outside smartshed. Please help. Also, I believe that I have a printed copy of the instructions I can scan in if anyone still needs it. I am looking for rep cement parts, specifically the right back roof panel. If we can not locate it, our cottage will be parted out for pcs. I need assembly instructions for a model 44115 thinking-outside shed. Looking for 2 hinges, part 44410 for Smartshed Outdoor Storage Chest. Have extra Easybolt, Part 44021and can copy instructions for the storage chest. WE PURCHASED THE SMARTSHED FROM SAMS ABOUT 8 TO 10 YEARS AGO. I DONT HAVE ANY PAPER WORK ON IT , BECAUSE OUR TAX MAN WENT SOUYH ON US. HE LEFT WITH ALL TAX PAPERS , RECIEPTS , ALL PAPER WE CLAIMED ON TAX WRITE OFF ON OUR HOUSE. THE PROBLEM IS ON THE PART WHERE THE BAY WINDOW PANEL ON THE CORNERS. THEY ARE CRACKING AND WATER IS LEAKING IN. WE CANT FIND ANY BODY OR PERSON AND CANT FIND THE PHONE NUMBER TO THIS MAN WHO OWNS THE COMPANY. WE REALLY LIKE THE BUILDING. IT SEEMS THE MAN "MICHAEL GREEN , FOUNDER AND CEO OF THIS COMPANY , DOES NOT CARE ABOUT THE PEOPLE WHO BUYS HIS PRODUCTS.IF ANY ONE CAN TELL ME HOW OR WHO I CAN CALL OR E-MAIL TO, I REALLY THANK YOU FOR YOUR HELP. OUR E-MAIL IS " DELTADAWN1227@AOL.COM ". WE THANK YOU FOR YOUR HELP. DAWN @ DAVE ARTHUR , SAN ANTONIO , TEXAS 78217. I have one that has been stored inside another shed (don't ask LOL) for the past 5 years that I'd like to sell. 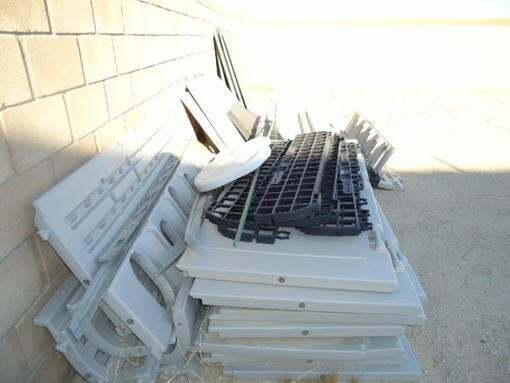 All the parts are there, it is in good condition, was used about 3 years total. Somewhere I might have the instructions (should have them but can't find them), but I could assemble it when you came to get it (I live in MS, or could deliver in July to OH or along that route up 55, via TN then KY then OH to Cleveland, OH). I have lots of parts for this shed. All wall panels, corner pieces and roof. None of the screws. Let me know what you need/want. Does anyone have the assembly manual for the shed? Looking for skylight windows two broken and need replaced. Trying to purchase more shelving for the Smartshed. Can not find any thing online selling the "snap in" shelves needed. If you have any info on how to acquire shelves please email lottie52becker@aol.com. I need an installation instruction for this shed. Is there anyone that can email me? my email is: jrmanahan@gmail.com. Thanks in advance. I have this shed (Thinking Outside Greenhouse Shed) and it is leaning at quite a list. My contractor is planning to disassemble it, level out the surface beneath it, and reassemble it. However, I cannot find my original instructions and he would like to be able to refer to them. Does anyone have a copy they could email me? Can u please email a copy of manual and parts list? I am also looking for a skylight replacement for the Smart Shed. Has anyone had any luck finding replacement parts? Thanks! I am looking for 2 sky lites for my daughters shed.. or any ideas on how to make covers for the skilites. I just bought a house with Smartshed. During the day after final walk-through, a storm blew open a door and broke 3 hinge plates and several screws. Does anyone have these parts for sale? If so, please reply here. If someone could email me the instructions it would be greatly appreciated! Can't find instruction manual. Can someone email to me? I would be so grateful. I am looking for some information on how to find 2 skylight windows for my shed. My got broken during the move. I can be reach at Mcrosby2@tampabay.rr.com. Does anyone have the instructions to this shed they would be able to either email or mail??? My husband got this shed and a couple windows are broke and missing a handle. So, place for part s would be awesome too. My email is jessi0883 at yahoo. I have one of these sheds and the two seams in the back are starting to crack. Any suggestions? I have read pages and pages of this sheds Pros and Cons. I happen to have a complete dismantled shed, with the exception of bolts. I don't have one of the bolts. I also can not figure out where the best place to request those replacement bolts from. I don't have a manual, a parts list or instruction book for assembly. Honestly I'm not attached to the shed and would be willing to part with what I do have. I'm not interested in shipping, or dellivering but if we can work out something fair I would be more than happy to let it go. So I guess I'm asking for a replacement bolt list, a manuel, and a part supply store OR if there is interest in a purchase , I will consider offers. To send parts lists,manuals and supplier name email brigetkcmo@gmail.com. To purchase, please email the same address. brigetkomo@gmail.com please be sure to mention your phone # , name and please no spam, or other posters contact plz. Our door blew off in the wind, I am looking for 8 hinge assemblies with the screws and 2 of the pins that keep the door closed. Any information on how to find them would be great. Must be willing to come and take apart. East of Cleveland Ohio. I know this thread is quite old now, but does anyone know where to get replacement parts now and possibly a manual for these things? 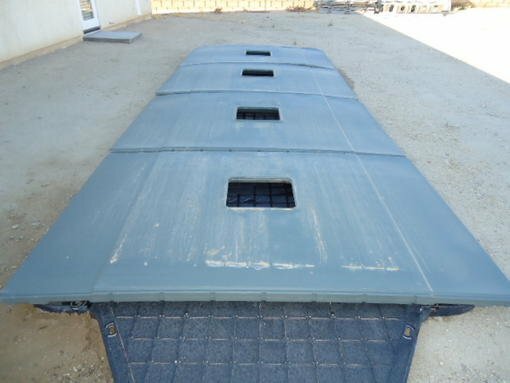 I am looking for the floor panels if anyone has these please contact me, bigiss@comcast.net. For those of you looking for the hinge bolts I found a very inexpensive solution for this problem, I used some long cable ties in place of the hinge. It is not quite as s pretty as before but they work great! Please email a copy of the instructions and parts list, thanks. I just purchased a Smart Shed Deluxe and unfortunately the previous owner has no owners manual to assist me in my dis-assembly and re-assembly. Having already noted that the company is out of business and that spare part supplies are largely thru blogs like this I really don't want to screw up its break down and set-up. If someone could be so kind as to send me a PDF for this model I would be very grateful. My email is jacobsenkenny@gmail.com. Best! I need the bar between the two roof panels if any one has one to sell. I also have the a Thinking Outside shed deluxe. We are moving our shed from one house to another and need the screws. If anyone has some, please contact me at dianacoral@msn.com. I also needs the instructions and some hardware. Can anyone help? I recently found my original instruction manual for this Smart Shed Deluxe with the bay window. If anyone would like a copy of it, I have made them available in PDF format (12 pages) for $5 at this link: http://computrends.com/thinkingoutside.html. Whoops, forgot to include my contact info, sorry! ruralart@earthlink.net. Have the instructions that I am happy to copy. Looking for a skylight. Thanks! Does any know how I can find a couple of skylights for this shed? Anyone still have the hasp body (p/n 44030A) they would be willing to ship me? I have the cover plate to hold it in place, just not the hasp itself. Thanks! Could you please e-mail me a copy of the instruction manual for the Thinking Outside The Box Bay Window? If you mail me a copy, I will pay the postage. my mother is giving me her Smart Shed- I need instructions to see how to take it apart and put it back together- or see if it could possibly be moved as is- it is only going to be moved about a mile- need ASAP - my email is reddk1@hotmail.com - your help would be deeply appreciated! Has anyone found a source for the screws for the Thinking Outside storage shed? So is Thinking Outside Out of Business? I also am looking for screws. Seems to be a big problem! my contact email is bvdrn@yahoo.com. Any help at all is appreciated! A storm came through and just took out the front half of my deluxe shed. Crushed one door, broke one skylight and broke about 15 of the plastic bolts. Looking for a replacement right side door, the seal piece between the two top sections and bolts. We need one skylight, 2 hinges, and maybe the floor piece too. Looking for two of the units you would put a lock threw??? Anyone have extras to sell?? Has anyone been sucesfull in finding any parts ? Now I see why I got the shed so cheap. No where to bye any parts. I need one sky lite, six screws, three hinges. probably more by the time I get it put together. Instructions would be nice. did you ever find parts for your shed? We have the Thinking-Outside Smart Gardener's Workshop that we plan to demolish in spring 2016 and take to the recycle center. It came with the house we bought, so we do not know its exact age. We imagine it was installed around 2005. It is in fair shape. Internal support is failing, so it sags. We will send parts to anyone who is willing to pay shipping from Western Colorado, and something to make it worth our time. We also have the owners manual, which is only the installation instructions. Sorry we cannot post a better picture. I guess we have purposely tried to take photos that excluded the shed. If interested, we can take better pics. We need skylight replacement windows, at least one and if another was available we would purchase it also. I'm looking for the assembly instructions.... Anyone have the instructions? Please email me the file at : MarthaWong00@outlook.com. Thank you !!! I have the original instructions, believe it or not. I just tore mine down and am taking it to the dump in the morning. Unless someone wants to com and take it. where can you get new hinges and screws for the smart shed by thinking outside? I'm also looking for some parts to the illusive Thinking Outside SmartShed. I'll buy hinges and bolts please. sricsaloop@yahoo.com Thanks. I am looking for a 24" x 24" skylight from a thinking outside shed. If anyone knows where you can purchase, i would appreciated it! 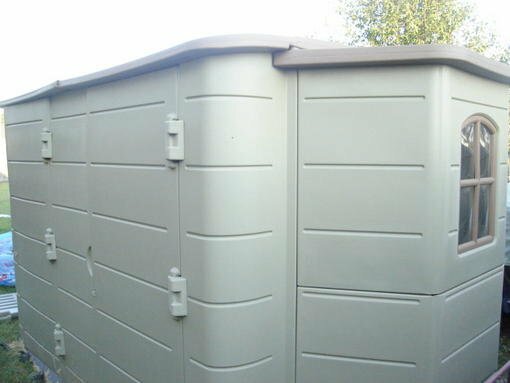 Hello everyone, I have a 12x7 Thinking outside shed I am selling. Has: front & side entrance, one shelf, spare door locks and screws. I am in Piney Point, Maryland and would gladly sell it for about $360. I need 4 Skylights Part No 44020, 1 outside hinge cover part no 44024, 3 cotter pins, 6 floor locks, 3 easy bolt fasteners. dalejackson321@reaganl.com. Seems to be a popular question in regards to the Thinking Outside shed replacement skylight windows. I need two if anyone has any suggestions or knows who may sell them. Thanks. Please email me at james.wark@comcast.net. I need to move my deluxe shed to another part of the garden. It is in great shape. For this I think I will need to separate the top from the middle and bottom. Does anyone have any experience in this? I think I would need the "Allen Wrench" part to take the parts apart. Does anyone know where I can find this tool or a similar tool please? I spent this afternoon repairing the doors on my SmartShed. Over time, the doors have come off with the plastic bolts that hold the doors to the hinges breaking off. While the threads don't quite match the original plastic bolt, these metal replacements will self-tap into the existing hole and provide a snug fit. Thanks for the link to the manual... very helpful. First of all thanks for the question.I also had a question, I lived in USA and sunlight is the main issue over there in summer. My best friend told me about the window tinting services offered by http://www.thetintguy.com/. Can anyone suggest me other services for window tinting too. I need the bolt driver tool that tightens everything up. Anyone know where I can purchase one? It's like a screwdriver with an Allen wrench on the end. Thanks. Contact me at kso@xmission with any ideas. We have a Thinking Outside Smartshed in good condition, with all the parts. We are looking to sell it now, since we have a garage to store things in. If anyone is interested please email me CoJo124@gmail.com. We live in Wisconsin about 30 minutes from Wisconsin Dells. If anyone has extra screws or hinge covers I’d be willing to buy them! Our door blew off & broke a few days ago. Please email us at chrisdandcindyc@aol.com if you want to sell extra screws or hinge covers. Hi...have the shed with 3 doors and 2 skylights...does anyone have access to the manual? I have parts for a Thinking Outside Smartshed Super Deluxe. I have the entire shed but most hinges disappeared during a move. There are a few holes cut into a few panels. The skylights are intact. I am selling a Thinking Outside Shed and wondered if anyone knew what model this is and what a fair price for it would be. Does anyone know what it sold for new? It has a bay area, several shelves, three doors and two skylights. There is not much information online about the Thinking Outside sheds except for this thread and I appreciate any information. Received response from anyone which led to replacement parts, etc? We bought the Thinking Outside shed at Costco years ago. Looking for assembly instructions for 6x9 thinking outside shed,?????? I'm looking for some screws and shelves if anyone has any available!! And the previous poster who asked, has anyone gotten and positive responses to this thread? Im looking for one center outside panel, the center support that connects the two roof panels together, and three hinges. Please contact me at benukem@hotmail.com thanks in advance. I have an entire Thinking Outside shed, deluxe model I think, for sale. I have all major parts, including windows, and about 95% of all the hinges, screws, etc. I am willing to to sell parts or all. Bought about 10 years ago, used outside in backyard as extra storage.